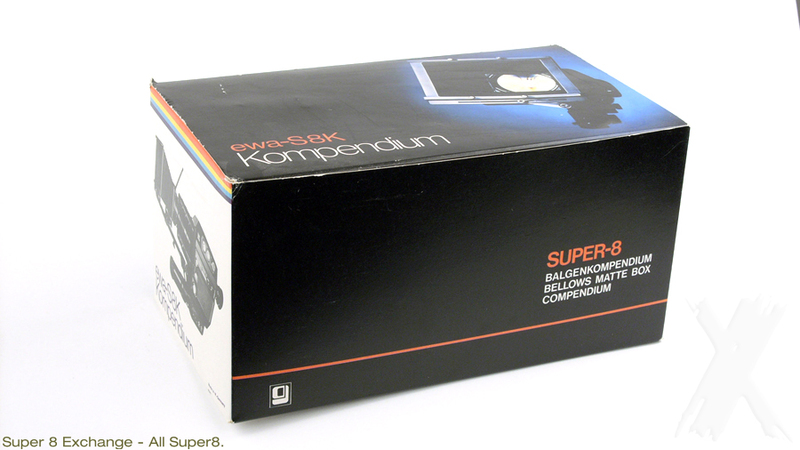 The EWA Compendium matte box for Super 8 cameras like Braun Nizo, Beaulieu, Bauer and many others. Fits to Braun Nizo 801 macro, Professional, 4080, 6080, or Beaulieu 4008 ZM, 5006, 6008, Bauer 709 XL - 715 XL and Fujica ZC1000. Possibilities are endless. Quality matte box from Germany.